Skiing, hot chocolate, families getting together, warm sweaters and building lots of snowmen! There is no other winter quite like a New Hampshire winter. However, not long after the first snow fall, we bet you are starting to get a little tired of the largest downside to winter storms. Maintaining your driveway or walkway can be draining and hazardous when the conditions are less than ideal. Your business front or commercial property can become an overwhelming project. Often times, we find our clients can’t keep up with the current storm, so what’s leftover is left for the next snowflakes to build on. This situation is not safe and can be even more time consuming to clean up. 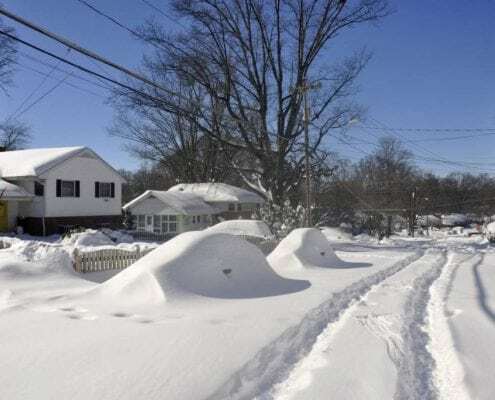 This is why you will want to have the professional’s in snow removal take care of your plowing needs. It is your safest option in the winter-time to manage the brutal New England storms. No matter if it is your home or business, everyone will benefit from a dependable contractor that can ensure the job is not left half-finished. Temperatures can significantly vary throughout the winter, leaving ice build up on roadways, parking lots, and driveways, and a heavy mess when the temperature gets above freezing. For those who grab the shovel, we can bet your back is not thanking you after and you might be left sore for days at a time. You might’ve not recovered when the storm hits. We are fully equipped and ready to battle the NE winter. Our trucks don’t get tired and won’t need to see a chiropractor after. Give us a call today for your quote! Having a snow removal service saves time and effort. 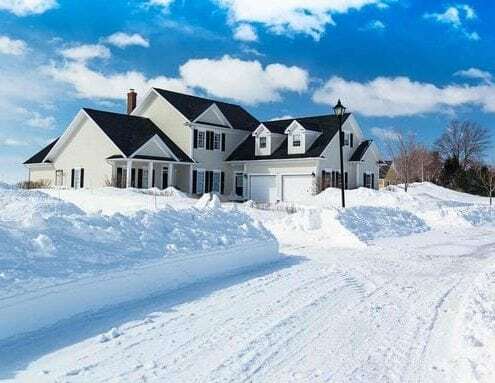 Often, we find our clients are shoveling themselves out of their driveways during the storm in order to get to work, and then cleaning up when they get home. Trust us, we know it’s been a long day for you. Sometimes, the weather so unforgiving that you may make it to work late or even lose a full day. This is time and money you’ve lost. Over the course of the number of snowfalls per year, this adds up. We are reliable experts. You can count on us to manage the aftermath. There are moments you don’t want to take the shovel out. Maybe the storm didn’t seem so bad so you left clean up for the following day, only to find that the temp has dropped and you’re now trying to scrape ice off of your driveway and your walkway. You’ve relatives visiting and now the path to your front door won’t be so easy to get around. As the right move to make, we are the efficient and effective solution to the many problems everyday folks and business owners face during this season. Contact us for your quote, today!